Science and Racket Sports IV presents a selection of important contemporary research into the four core racket sport disciplines of tennis, badminton, squash and table tennis. It showcases the best of the peer-reviewed papers and keynote addresses presented at the Fourth World Congress of Science and Racket Sports, Madrid. 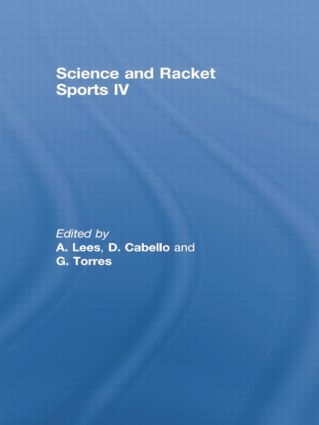 This invaluable collection touches on the most important issues within contemporary sport science, and explores the full range of theoretical, experimental and applied work within the study of racket sports. It is essential reading for all sports scientists, sports physicians, therapists and coaches working in this area. Modern teaching methods for tennis: What do they have in common?